I’ll be brief. This recipe compliments our last dish, Moroccan-Inspired Lemon Chicken, perfectly. It requires 4 ingredients, takes 20 minutes, and requires absolutely no kitchen skills. If you don’t love it, I’ll come over and wash dishes. Deal? *Why are we using coconut oil? Good question. 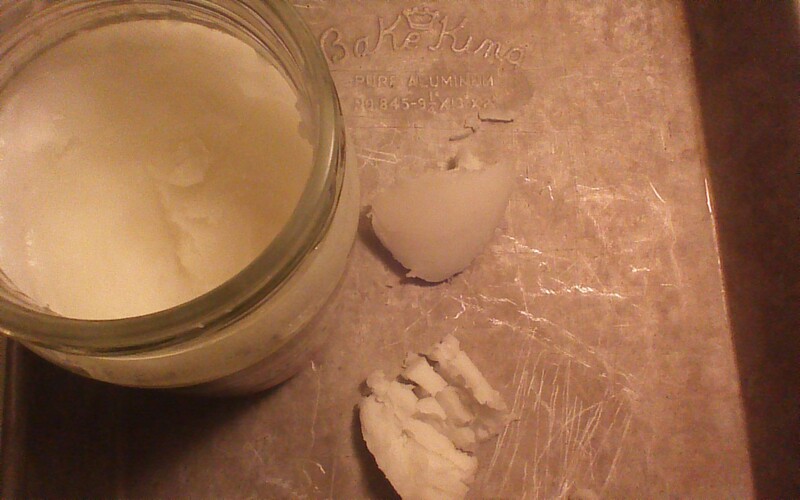 Emerging reports of health benefits aside, coconut oil has a higher smoke point than, say, olive oil. This means it will hold up better (i.e., maintain its molecular integrity) in the hot oven we need for this recipe. Step 1) Set oven to 400 degrees. Place two tablespoons of coconut oil on a large pan with shallow sides, and set pan in oven for just a few seconds to melt the coconut oil. 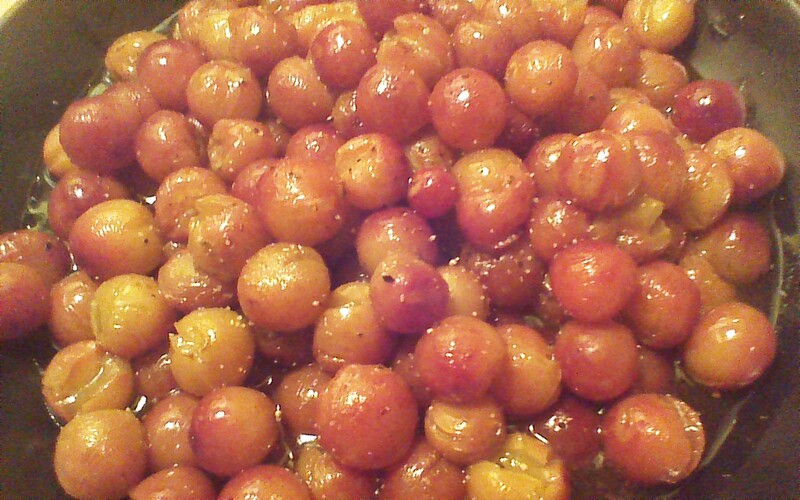 Step 2) Remove pan from oven, and add grapes to pan. Roll grapes around to coat them in oil. Sprinkle with salt and pepper. 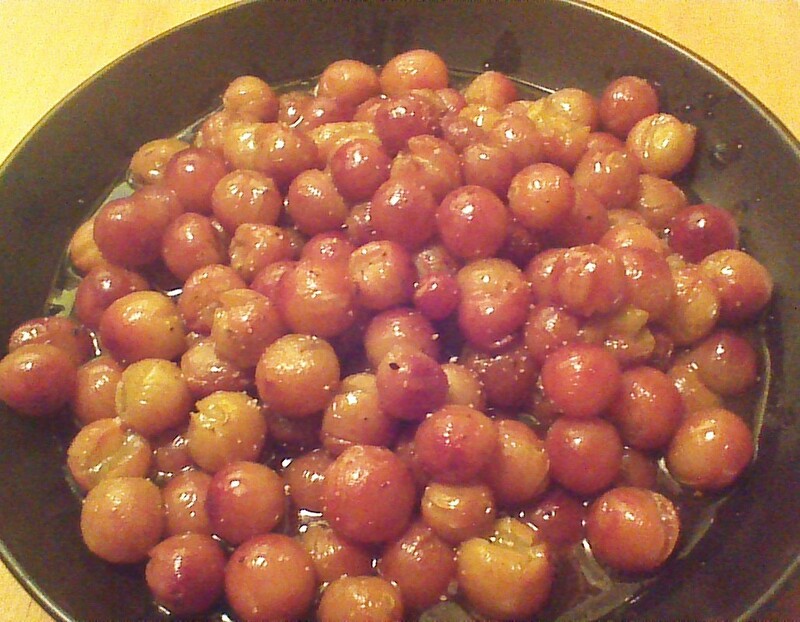 Step 3) Roast grapes for 20 minutes, stirring gently once. Allow to cool for one minute, and serve. This entry was posted in Fruits and Veggies, Vegan, Vegetarian and tagged Food, Grapes. Bookmark the permalink. Thank you. 🙂 It’s super easy – no fuss cooking for summer!